Lionel Messi’s late strike against Alaves on Sunday gave Barcelona the 2-1 win, and also gave the Argentine the advantage over Cristiano Ronaldo in La Liga free-kick goals. With Sunday’s game deadlocked in the 84th minute, Messi curled home a dead-ball effort to earn a victory for the league leaders at the Camp Nou. 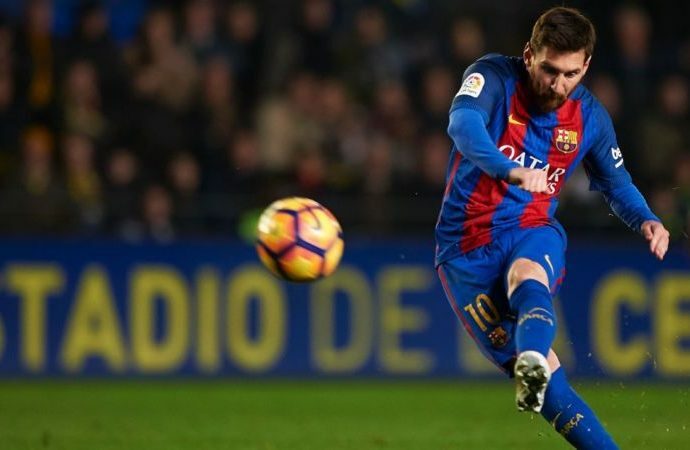 It was Messi’s 21st career direct free-kick goal in La Liga, giving the Argentine the most of any player since Opta began collecting data in 2003-04. Messi and Real Madrid star Ronaldo went into the mach deadlocked at 20, but the late winner against Alaves saw the Argentine put his nose in front. Sunday’s match marked another milestone for the 30-year-old, who made his 200th career Liga appearance at the Camp Nou.